How do I use QuickCAST Server with an Intel based Apple Mac? 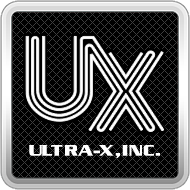 – Ultra-X, Inc.
Intel based Apple Macs require a jump boot USB to give it PXE functionality. Before you can PXE boot an Intel based Apple Mac with QuickCAST Server, you must first make a jump boot USB. 5. Double check the drive letter and make sure the appropriate drive letter is selected. 6. Click the Write button and wait for completion success message. 1. Now that you have successfully created a PXE Jump Drive USB, insert the drive into the Apple Mac. 3. Use the right arrow key to select the option labeled "Windows". 4. The Intel based Apple Mac will now PXE boot to the QuickCAST boot menu.